Sam Bird scored his second victory of the 2017/18 Formula E season after resisting a spirited late charge by reigning champion Lucas di Grassi in the closing stages of an eventful inaugural Rome ePrix. That left Bird with a three-second advantage over Mitch Evans, but the Jaguar driver closed up to the race leader within a matter of laps, with Audi's di Grassi following the Kiwi to make it a three-way dice for honours in the closing laps. 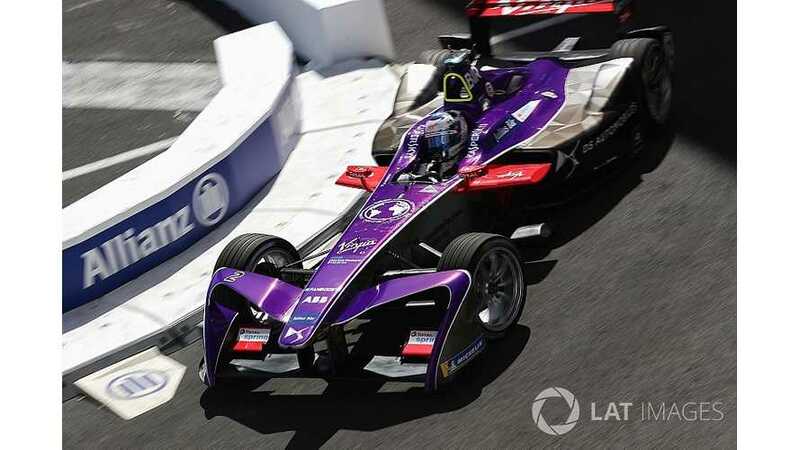 Evans made a brave attempt to dive up the inside of Bird with four laps to go, but the Briton managed to hang on and was able to stretch out a small advantage in the closing laps as Evans turned his attentions to defending from di Grassi and Andre Lotterer. Two laps later, di Grassi picked off Evans for second, but ran out time to catch Bird, who hung on for a first race win since the Hong Kong season opener by a margin of just under a second. Evans plummeted from third to ninth as he ran out of useable energy on the last lap, promoting Techeetah driver Lotterer to the final spot on the podium. Daniel Abt was fourth in the second Audi, while Jean-Eric Vergne (Techeetah) limited the damage to his points lead in fifth place ahead of Sebastien Buemi (Renault e.dams). 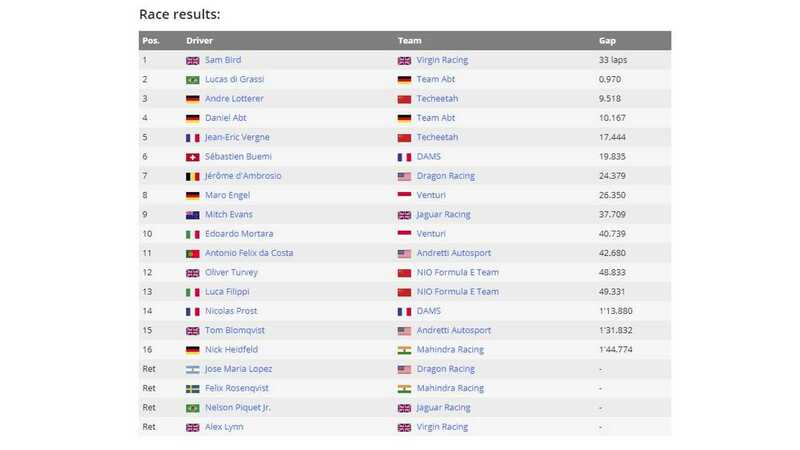 Bird moves ahead of Rosenqvist into second in the championship with his win, 18 points behind Vergne.